How is everyone surviving the heat? Yesterday Kent and I made the misguided decision to walk to our friend's Fourth of July party. It's about a mile walk, so not difficult, but the heat was oppressive. We thought that the breeze from the harbor would make the trek manageable, but we arrived completely doused in sweat. My biggest grievance with this city is that parking is impossible, so you're forced to make poor choices such as walking uphill through 93 degree heat with frozen s'mores (recipe next week!) and alcohol. Our weekend plans are still up in the air right now, but I expect for us to remain indoors except when outdoor exposure is necessary. The next few weekends are busy for us, so I have no problem with a whole lot of nothing on the schedule. This sounds like a good decision. This week's favorite finds from around the web (click on gray hyperlink for source)! 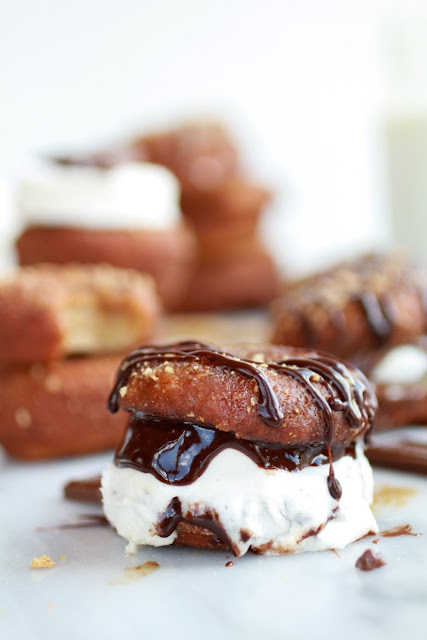 Favorite indulgence: S'more Doughnut Sandwiches. I actually had another doughnut selected for this week's favorite indulgence, but then I saw that this treat takes indulgence to a whole separate level and I had to share this creation. So decadent. So perfect. 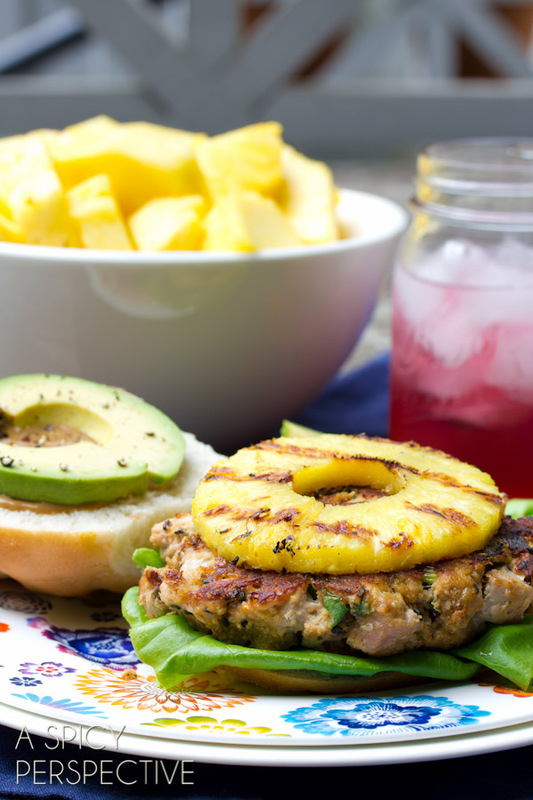 Favorite meal: Ahi Tuna Burgers with Grilled Pineapple. Does this not sound like the most delightful summer dinner? Favorite funny: Things Millennial Girls Love. Spot. On. Except for a few, of course. Favorite bite: Smashed Avocado Tomato Basil Bruschetta. As I told you last week, I'm going through an avocado phase where I'm incorporating it into at least one of my daily meals. I had this for dinner the other night (with a side of my other recent obsession- Costco's tortilla chips), and these little creations are amazing. 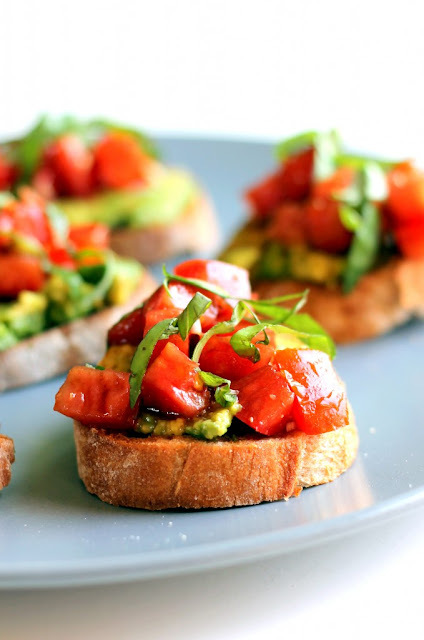 There is so much freshness and flavor packed into each bite. And they come together in less than 10 minutes. You'll thank me later for this easy healthy fix to a last minute entertaining idea or snack hankering! Favorite look: Cut Offs. Having just turned 26, I more cognizant of age appropriate attire. I'm pretty sure that I can still get away with shorts of this length for the right occasion, but I find myself wearing shorts less and less. In any case, this is a cute look for summer. 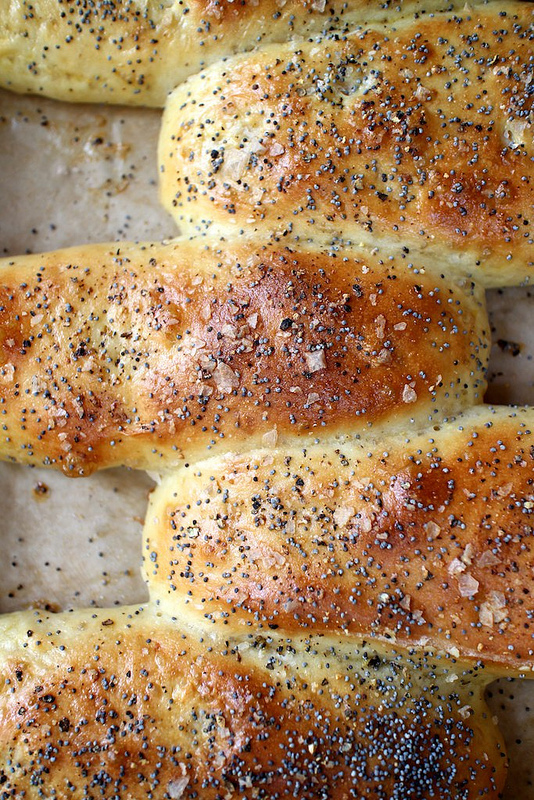 Favorite bread: Homemade Hot Dog Buns. If you know me, then you know that I don't like hot dogs, but I do like bread. I'm certain that I could find something to fill these deliciously seasoned pillows of carby goodness with. 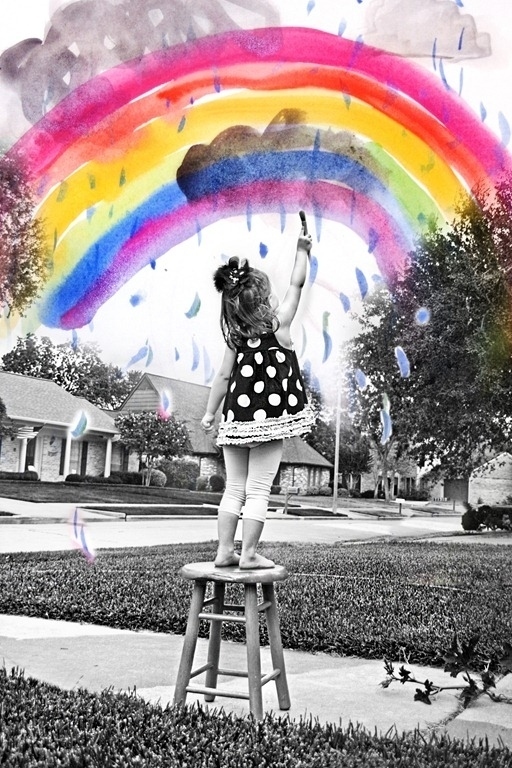 Favorite DIY: Photoshop Your Child with Their Artwork. Technology is so sophisticated! The link to this site explains how Photoshop can merge a picture of your child with a picture of their artwork. I'm not sure how many pieces of a child's artwork are worthy of this effort, but this seems like a simple way to achieve a special photo. 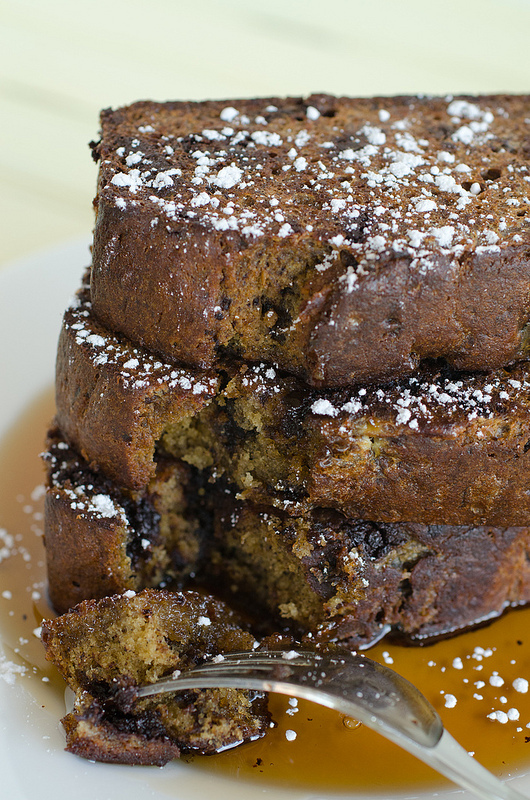 Favorite remix: Chocolate Chip Banana Bread French Toast. Just when I thought that chocolate chips were the only way to make banana bread better, here we fry it up and add syrup to create chocolate chip banana bread french toast. It's a mouthful to say as these are to eat I'm sure. Why yes, I would like a little powdered sugar sprinkled on top. Favorite read: Life's Formula. A quick little read by A Foodie Stays Fit on being happy where you are now (click gray hyperlink for full post). 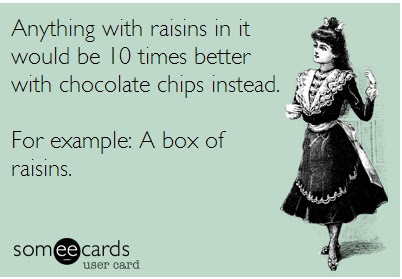 Favorite quote: Chocolate is Better. Ok, so I have two favorite funnies this week. I normally leave you with a thought-provoking quote for the weekend, so I wanted to leave you with something a little lighter. Here is one of the greater truths in life.